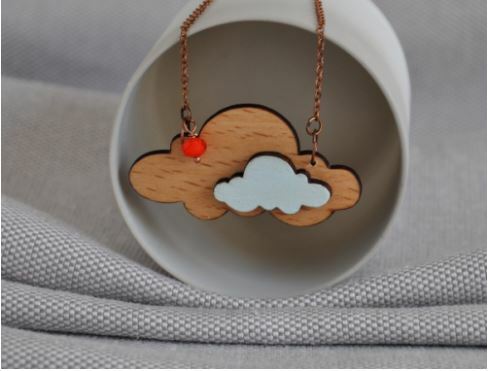 Posted in Arty Smarty, Jewellery, Kids Stuff, Laser Cut, Love, Mother's Day Gift Ideas, Wood. 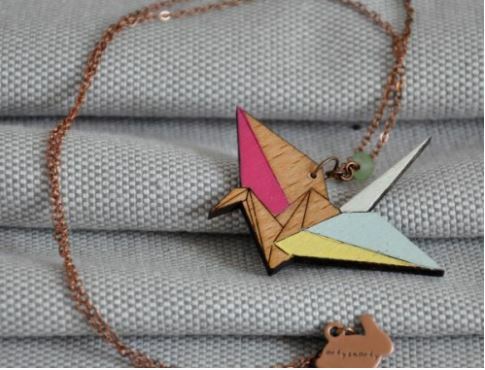 Tagged as arty, necklace, origami, pendant, smarty, wood, woodcut. 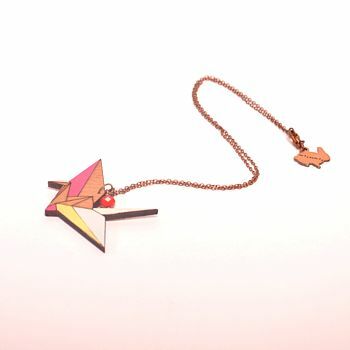 Beautiful, contemporary origami style wooden necklace hanging on an antiqued copper chain. 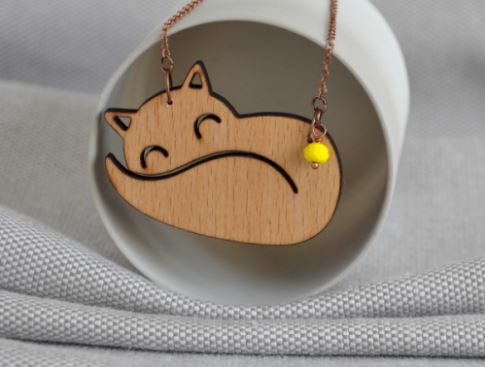 This origami style necklace is made from birch wood, carefully hand painted in pastel colours and finished with a durable varnish. 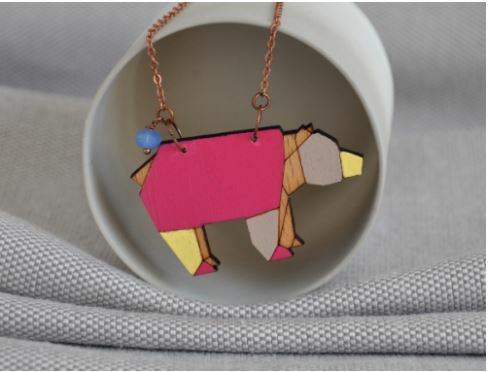 The chain is an vintage style antiqued copper with a lobster clasp, glass bead and ‘artysmarty’ rabbit tag. 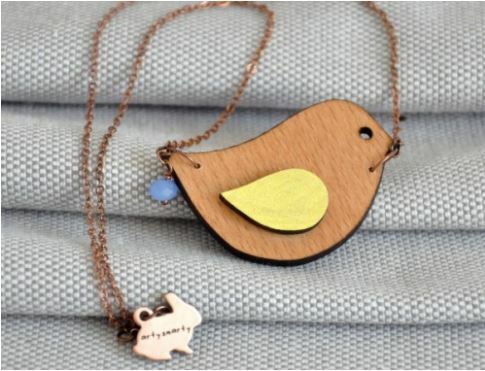 Wood, antiqued copper, glass bead.